Volcanic wine is an impossible category to define scientifically, John Szabo MS, one of the world’s foremost authorities on the subject, has said. 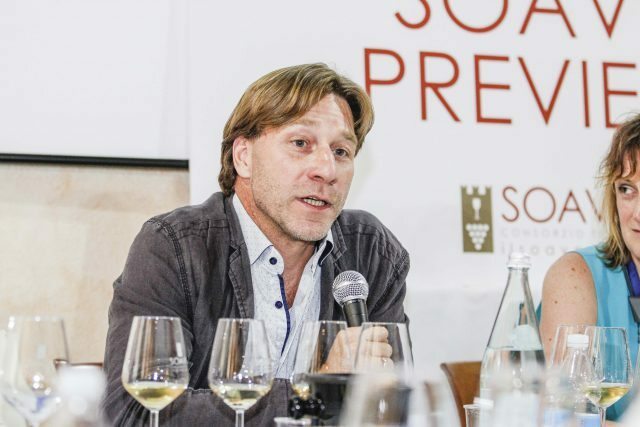 Speaking to the drinks business at the International Volcanic Wine Forum in Soave in Italy, Canadian master sommelier Szabo, who has spent years researching wines from volcanic soils, said that while there is enough “sensory data” to justify having a volcanic wine category, any attempts to scientifically define them would always short. “From a sensory perspective there’s something that’s there, that many of us can agree upon, that links this family of ‘volcanic wines’ into one single category,” he said. The wine writer and consultant acknowledged a strong association of ‘minerality’ in wines made from grapes grown on volcanic soils. While the term ‘minerality’ is decried by some people in the wine industry, and there is still much debate and misunderstanding about the derivation of minerality in wine, Szabo said he embraced the descriptor’s ambiguity. “I’ve struggled with it but I used it regularly in my tasting notes,” he said. “It’s a beautifully ambiguous term that encapsulates all of the things that don’t fall under fruit or floral or spice or wood-derived things. It’s that extra dimension that can be aromatic, it can be a taste sensation… for me it’s very much a taste sensation and a tactile sensation. “As I mentioned [at the International Volcanic Wine Forum], I speculate that there is really something scientific there about the mineral salt content of wine. The problem is nobody has measured this. “I wanted the scientific detail behind that but most producers don’t want the scientific detail. “I did manage to unearth a little bit of evidence. For example in the Azores, there’s a producer called the Azores Wine Company and there the winemaker, who is a very inquisitive fellow, has actually measured things like the potassium content of the wine. “He makes wines on mainland Portugal and the Azores, which is an eminently volcanic island – I mean, it’s pure basalt; more volcanic than that you can’t find – and the potassium levels in the wines is three to four times higher than what he gets in mainland Portugal. “That’s a pretty significant difference. “But you have to at some point link back to the soil – and scientists will poke holes in that. 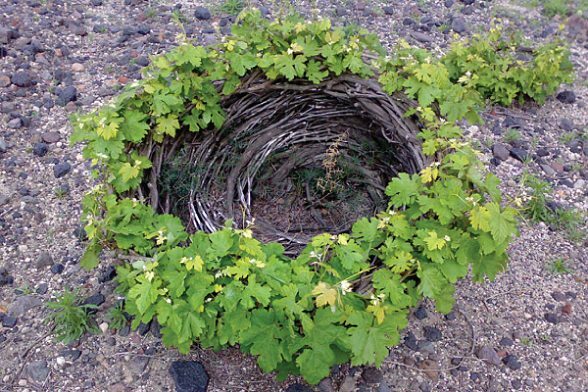 While the concept of soil-based minerality is sacrosanct to many Old World theorisers on terroir, some studies have been undertaken which reject the possibility of such a derivation. Some suggest the perception of minerality in wine is more closely linked to acidity; others the the presence of certain sulphur compounds in the wine; still others to the effect of microbial activity. Second-generation Hungarian Szabo first became interested in volcanic wines after trying an Assyrtiko from Santorini several years ago. “The first time I tasted a wine from Santorini was a [Domaine] Sigalas,” he said. “It was a wine that was so striking, so arresting, so unusual, and not even that pleasant, I have to be honest – when you smell this wine it’s not fruity, it’s not soft, you don’t want to cosy up with this by the fire – it’s a wine of some brute force and intensity but captivating at the same time. After investigating the wines of Santorini, Szabo travelled to Etna in Sicily to sample the volcanic wines of that region. Combined with his knowledge of wines from volcanic sites in Hungary, these experiences inspired him to travel around the world to conduct around four years’ worth of research on wines from such sites. Szabo has now written a book on this nascent wine category – Volcanic Wines: Salt, Grit and Power – which is due to be published in September 2016. Ultimately, Szabo said, volcanic wine as a category was impossible to “because the variables are staggering”. “Once you start to add all these things up from a scientific perspective you can’t conclusively say ‘High pH in the soil equals X in the wine’. You can’t do that. But we can taste it. We’re much more sensitive than the scientists, or we are much more able to synthesise information than a gas chromatograph diagram could ever show you. “So we’re left in limbo. We’re struggling with this notion of minerality – and I embrace it. It’s that extra dimension that some wines have and other wines don’t have. Why is that? We can speculate, we can even postulate, but we can never verify it scientifically. The International Volcanic Wine Forum was hosted by the Consorzio Tutela Vini Soave e Recioto di Soave at the Monteforte d’Alpone in May. An event co-hosted by John Szabo MS and Giovanni Ponchi of the consorzio presented 10 wines from volcanic wine-producing regions including Soave, Santorini, Somló, the Canary Islands and Pantelleria. Created eight years ago by the Consorzio del Soave, the volcanic wine forum has helped Soave to define itself as a wine region and to gain something of a marketing edge amid the growing international interest in wines from grapes grown on volcanic soils. The forum followed a volcanic wines seminar held at the Institute of Masters of Wine last year, which was the basis of a db Top 10 volcanic wines feature.